Ofcom has today announced an overarching review of the UK’s digital communications markets, to ensure that communications providers and services continue to meet the needs of consumers and businesses. In May last year, Ofcom said that 2015 would provide a timely opportunity to take stock of the effectiveness of the rules arising from the last major review, 10 years after they were introduced. In 2013, Ofcom awarded spectrum for 4G mobile services, with a rule to ensure at least 98% of premises would benefit from the new technology. 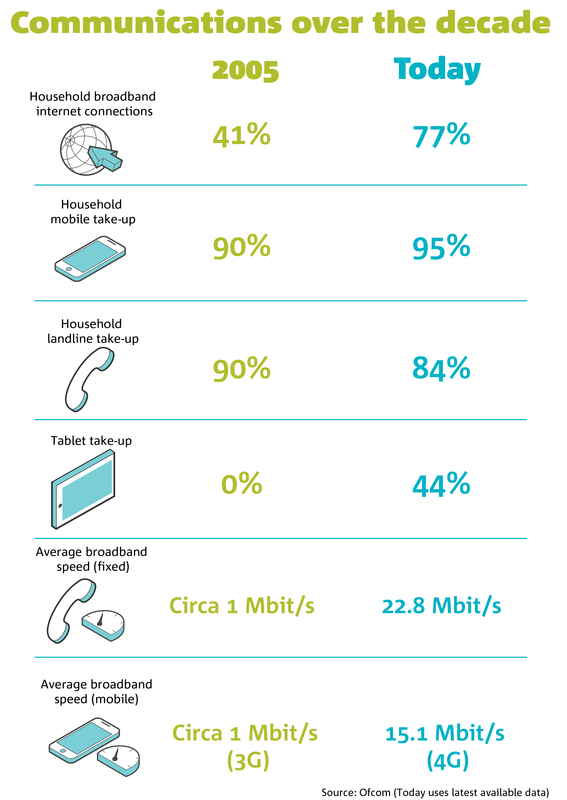 Over the last 10 years, telecoms users across the UK have seen real benefits in the form of innovative products, wider choice and lower prices. For example, since 2005 average broadband speeds have risen more than twenty-fold, while prices have fallen by around 50%; and the cost of a monthly mobile bundle has halved from around £32 to £16. Major operators continue to invest in the UK’s telecoms networks. For example, BT said in January that it is testing technology for delivering ‘ultrafast’ broadband speeds, with a plan to roll out to most of the UK within a decade. The following month, Virgin Media announced plans to extend its network to around four million new premises over the next five years. Steve Unger, Ofcom Acting Chief Executive, said: “We have seen huge changes in the phone and broadband markets since our last major review a decade ago. Only five years ago, hardly any of us had used a tablet computer, high-definition streaming or 4G mobile broadband. The first phase of the review will examine current and future market factors that may affect digital communications services, and current regulatory approaches. To inform this work, Ofcom intends to engage over the coming months with a wide range of stakeholders - including industry, consumer groups, the UK Government and devolved administrations - through meetings and workshops. This phase of the review is expected to conclude with a discussion document in summer 2015. Sources for price and speeds data: Ofcom Communications Market Report 2014; Cost and Value of Communications Services in the UK; and UK Fixed-line Broadband Performance. Ofcom’s principal duty under the Communications Act 2003 is to further the interests of citizens in relation to communications matters, and to further the interests of consumers in relevant markets, where appropriate by promoting competition.